The IDF reports Thursday it revealed 6 more fictitious identities of Hamas 'girls' who tried to obtain sensitive intelligence information. The IDF reported Thursday that they had revealed six more fictitious identities of Hamas operatives posing as young ladies who tried to seduce soldiers in order to obtain sensitive intelligence information. "We have opened a hotline for soldiers who believe that somebody is trying to seduce them, or if they have received Facebook requests and we are investigating all of these complaints, said Aleph, a senior member of the information security department of the IDF. "We are endeavoring to thwart all Hamas efforts to obtain information. We also provide guidance for soldiers and since we have performed briefings for soldiers there has been a dramatic rise in the amount of reports from soldiers about this matter and this helps us fight it." 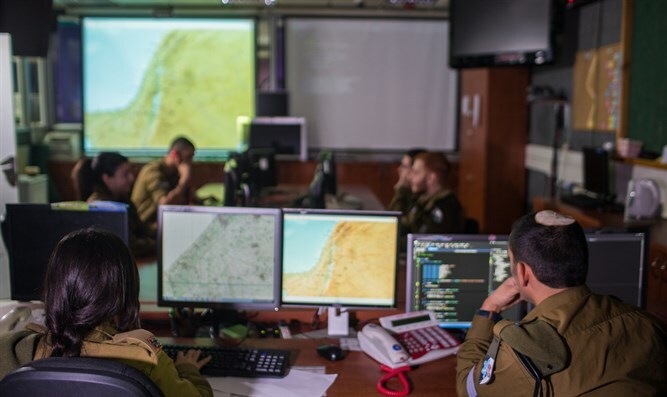 The IDF launched two operations to try and stop the Hamas cyber infiltrations - "Hunter's Battle" and "Hunters Online". According to reports most of the fictitious characters disappeared from the internet, and the IDF believes that little information of value was obtained by Hamas. Operatives for the Hamas terrorist group had hacked into dozens of Israeli combat soldiers’ cellphones by posing as attractive Israeli women on Facebook. Other Hamas infiltrations included terrorist agents active on social media who would engage soldiers and their families on social media and attempt to goad or steer them into discussing classified information, such as IDF troop movements. Other agents infected cell phones with viruses. One soldier who chatted on Facebook with Hamas operatives posing as young girls described how he fell into the trap and transferred sensitive information without being aware of it. "Somebody sent me a Facebook message," said the soldier. "We spoke a lot over a number of days and she told me she serves in the prison service and asked me where I serve and what I am doing. At a later stage she asked me to download an application so that they could talk. I tried to open the application but it didn't work. We continued talking via Facebook. Suddenly I discovered that this was not a girl, it was Hamas."